Congratulations, you are pregnant and welcome to the roller coaster ride of pregnancy and beyond. We’ve added this due date calculator to the site for you to get an approximate due date of your baby. We recommend however visiting your local general practitioner to confirm a more accurate due date and visiting the Australian Government’s Health Direct website for pregnancy resources. Please remember only 5 percent of births are on the due date. With the above calculator, you add the 1st day of your last menstruation period. Then add the typical days in your period. The due date calculator will estimate the start of your next menstruation period and suggest the next time you will be most fertile. The pregnancy calculator will provide you with an estimate due date of your baby. This is based on whether you conceive within this time frame. Should you not have a pregnancy calendar at hand, you can work out when is my baby due by days and weeks. Women are normally told their due date is 280 days, or 40 weeks, after the first day of their last period. This, however, assumes each woman has a typical 28-day cycle. So now you have your due date, start recording every little kick and feeling with this pregnancy journal. This contains a total of 144 pages where you add information on your pregnancy from week 6 to week 40. You can add your due date, now you have used our baby due date calculator. There is space for your doctors and obstetricians details as well as scans and photos. The diary has a linen hardcover with an embossed spine and title. While you are here come and explore our range of handmade baby gifts ideas. You will love our bandana dribble bibs, burp cloths, teething toys and accessories. We have included some of our favourite products to compliment our range. 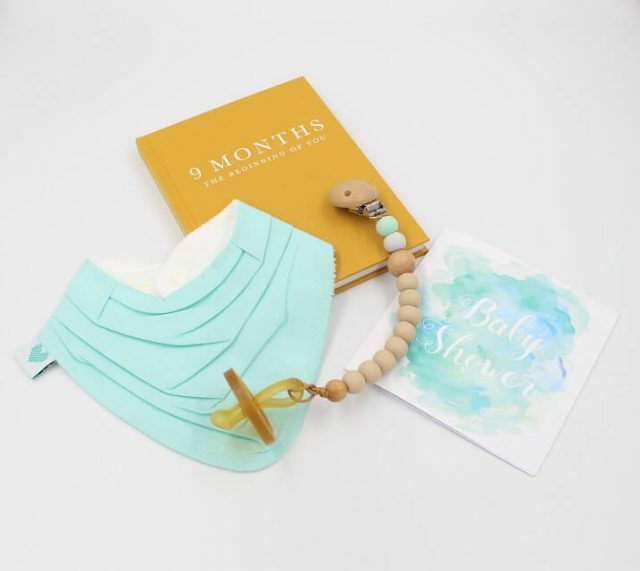 These include baby books, cards and Natursutten natural rubber pacifiers. Once again congratulations on your pregnancy. We wish you the best for the coming months and years ahead!